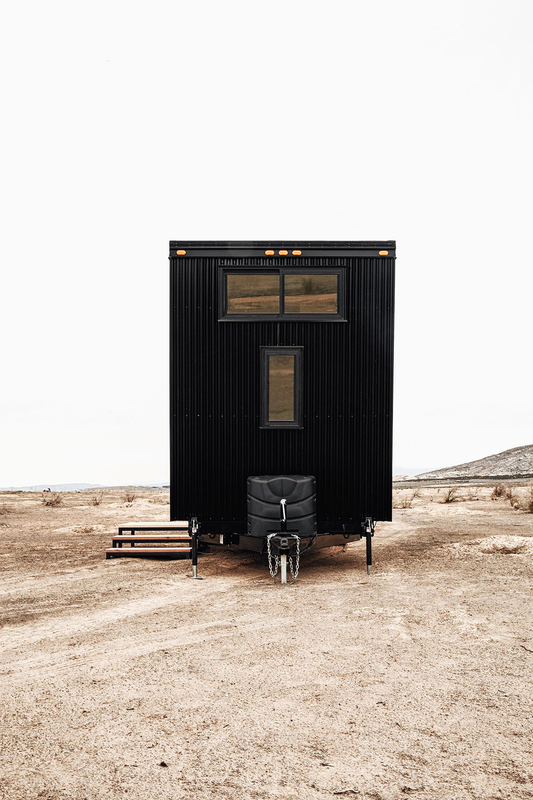 Combining a crisp, contemporary profile with mid-century modernist elegance, Drake is a brand new recreational vehicle house by Land Ark RV that radically redefines the staid image of the typical camper trailer. 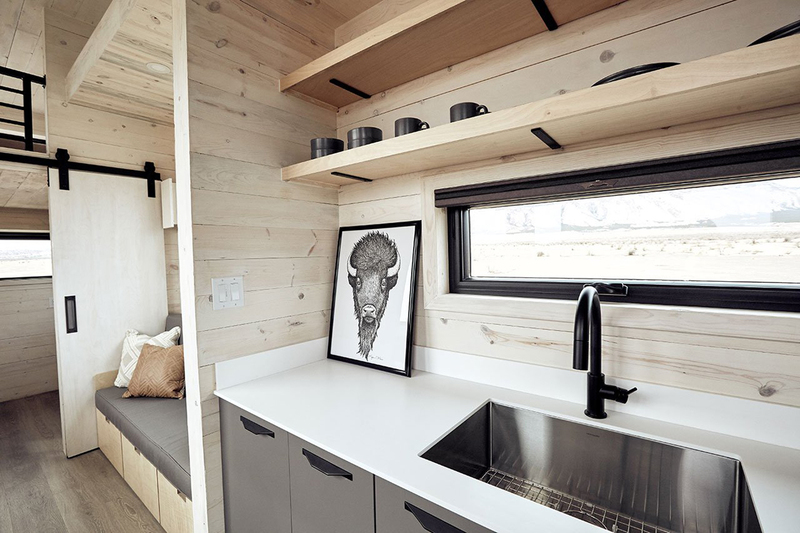 Designed by American husband-wife duo Brian and Joni Buzarde based on their own experience of building and living in a mobile home, Drake provides all the modern amenities one could ask for, fleshed out in a sleek environment of understated luxury and minimalist sensibility. 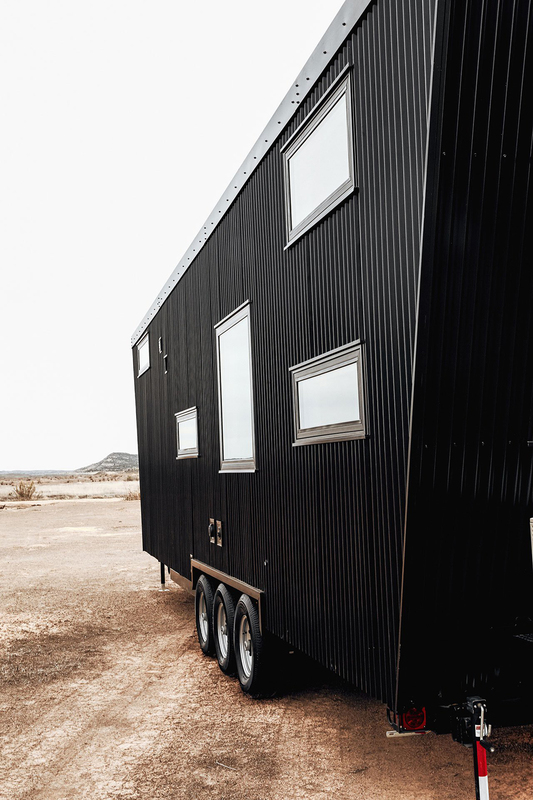 It is in other words like any other thoughtfully designed high-end house, albeit one you can drive around anywhere you wish to go. 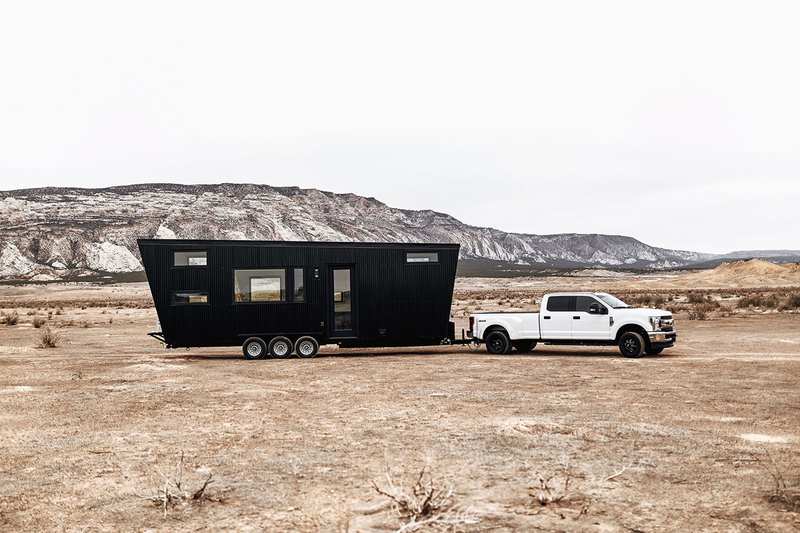 Land Ark RV was founded by Brian and Joni, a Texan couple whose dream was to build their own home on wheels so they wouldn’t be anchored in the same place. 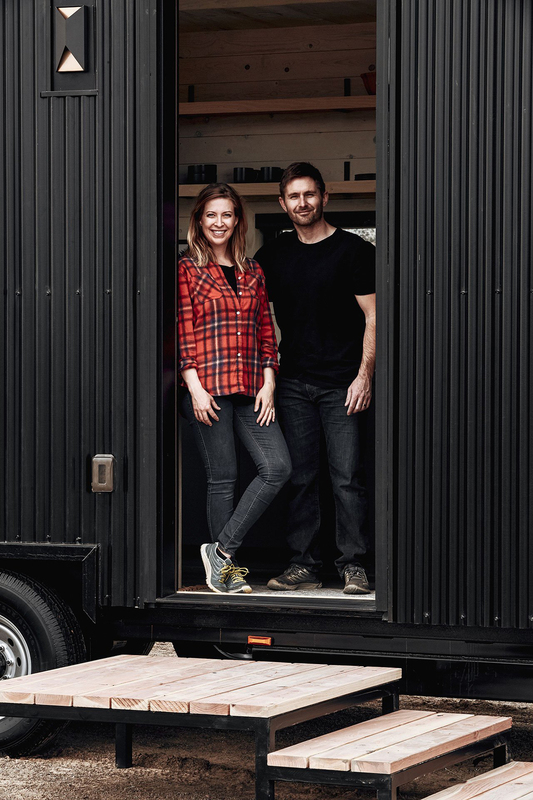 Their first endeavour in 2012, a DIY prototype named Woody arising while brainstorming ideas on Southwest Airlines napkins, was painstakingly hand-built in a Houston warehouse after working hours and on weekends with the occasional helping hand of a friend. 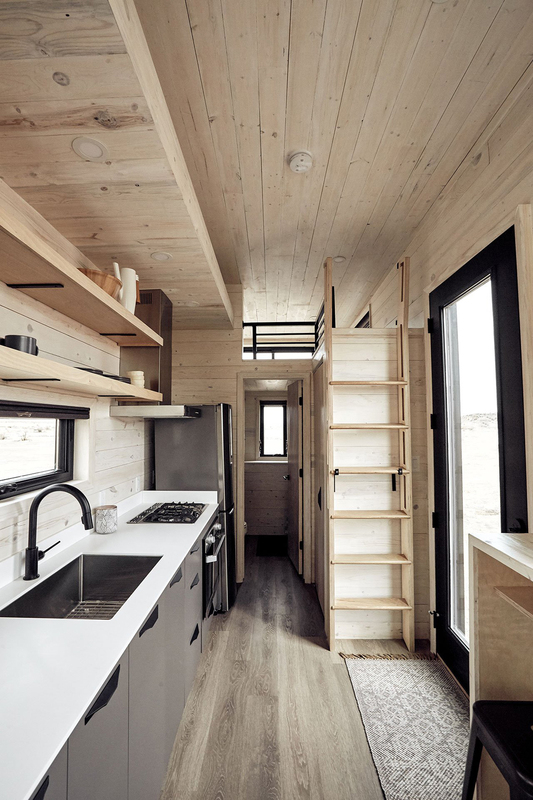 Once completed, it was put to the test when the couple decided to move to Colorado while living in Woody which proved to be a seminal period because it allowed them to observe firsthand what worked best in terms of privacy and functionality, from storage ideas and plumbing to sleeping arrangements and natural lighting. 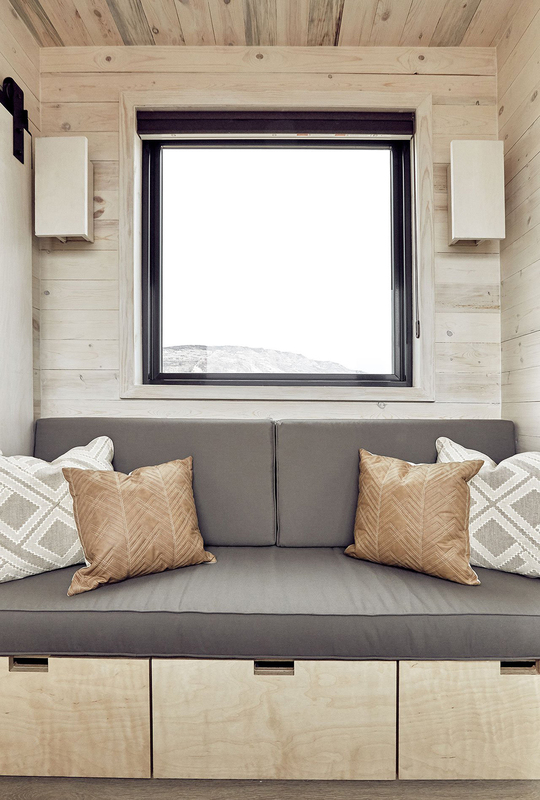 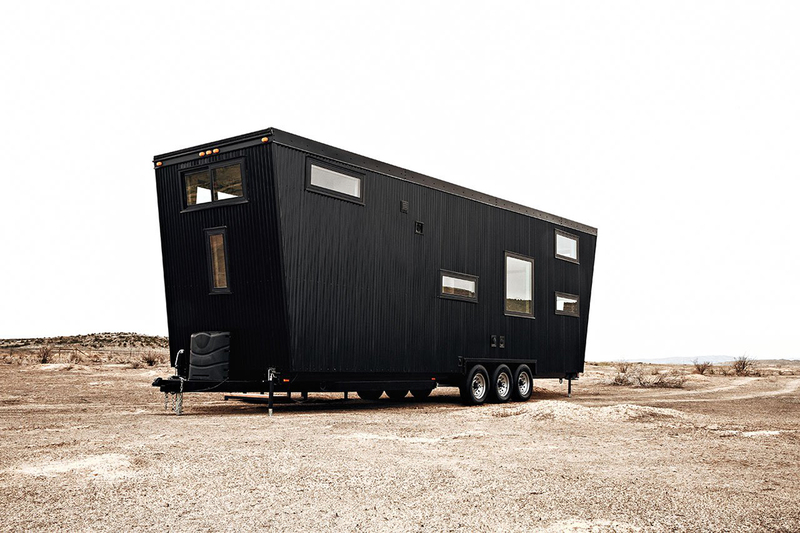 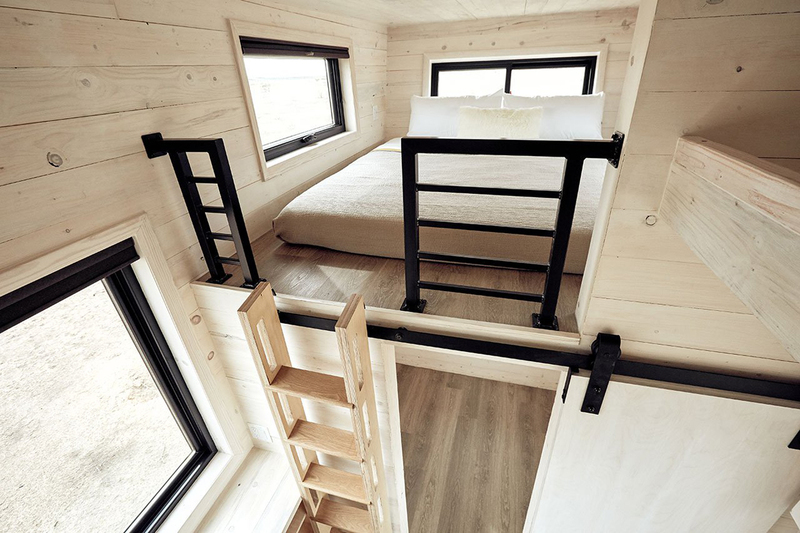 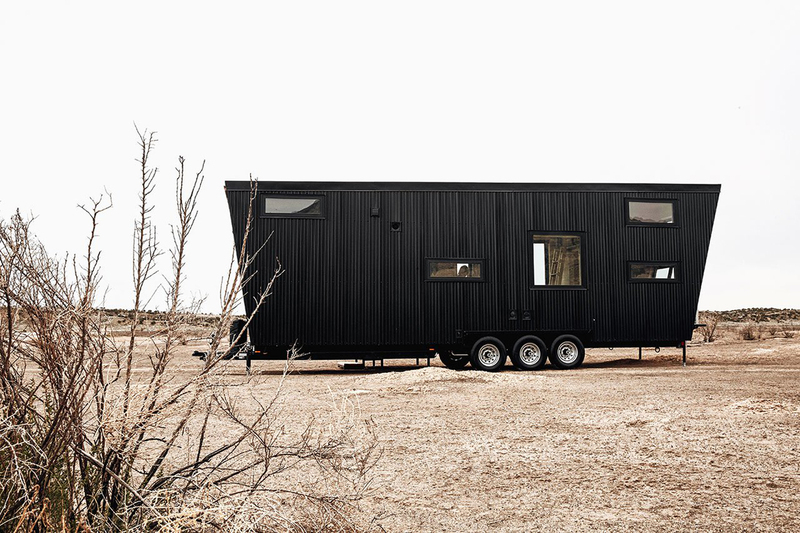 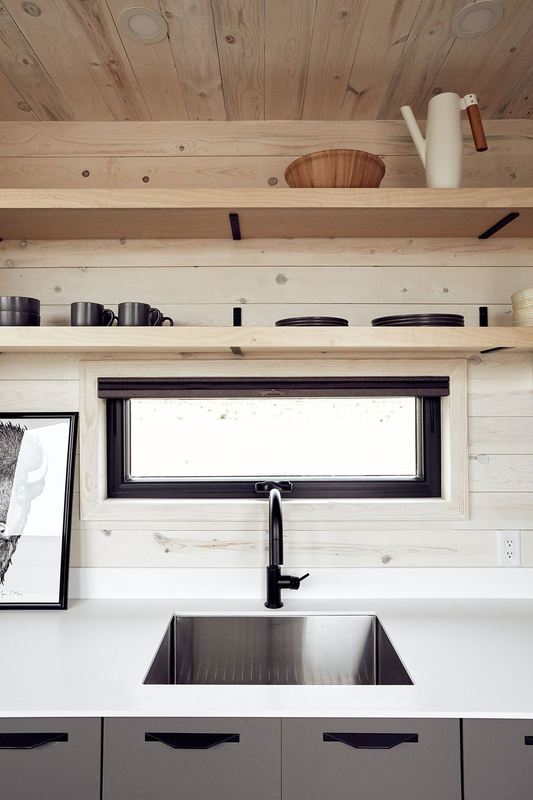 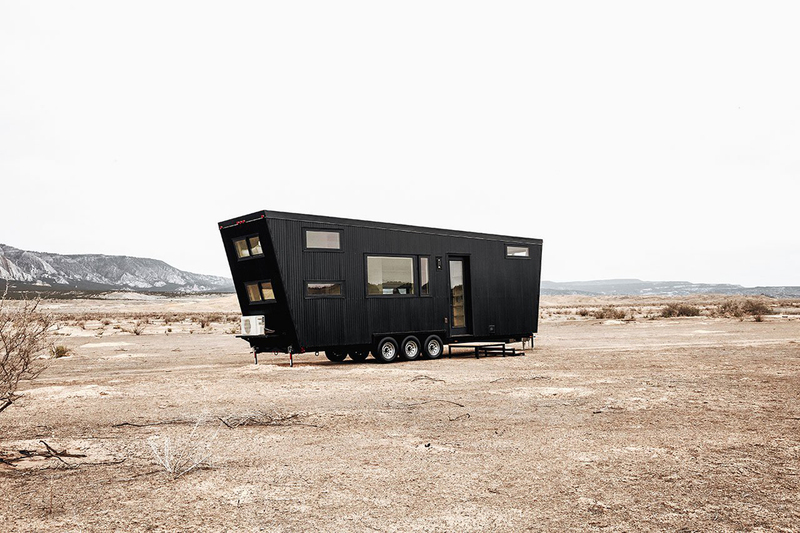 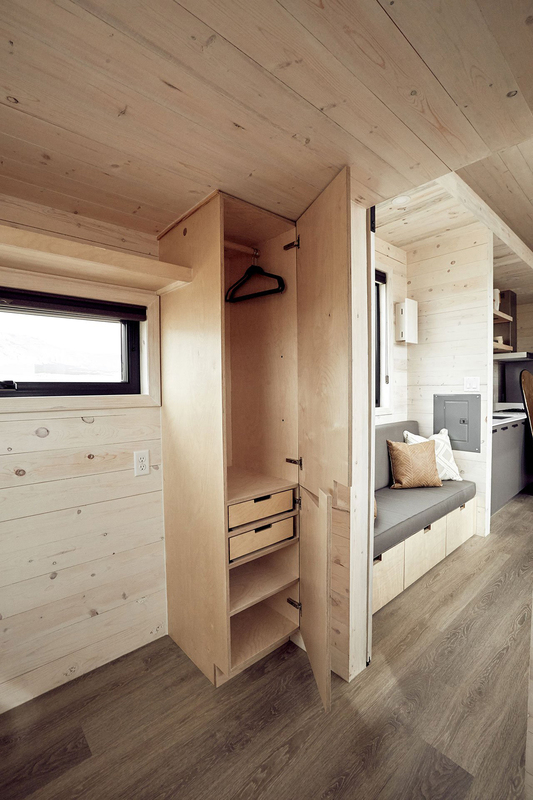 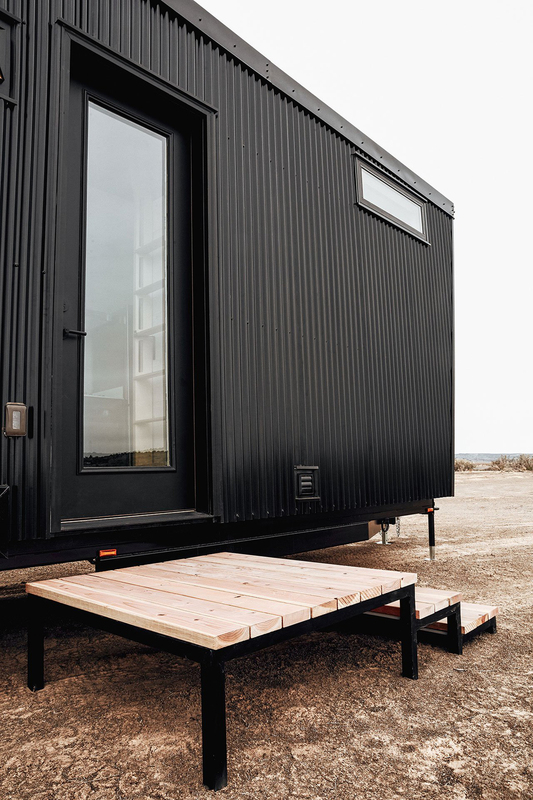 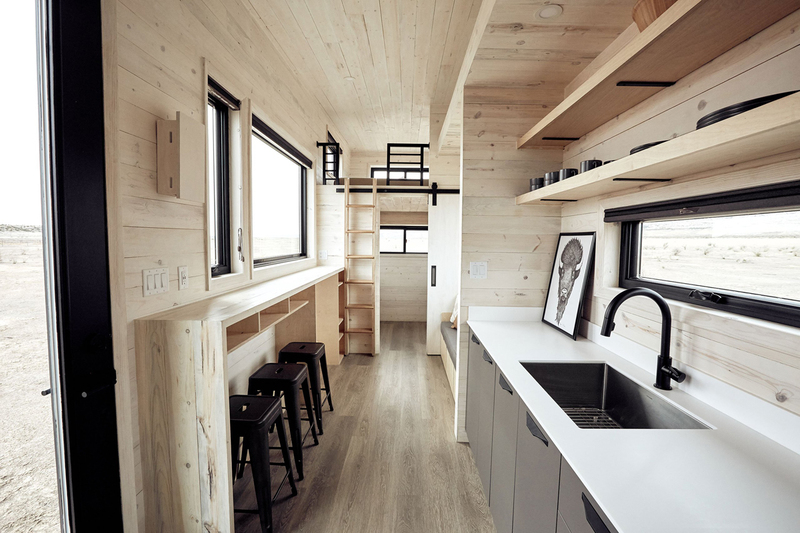 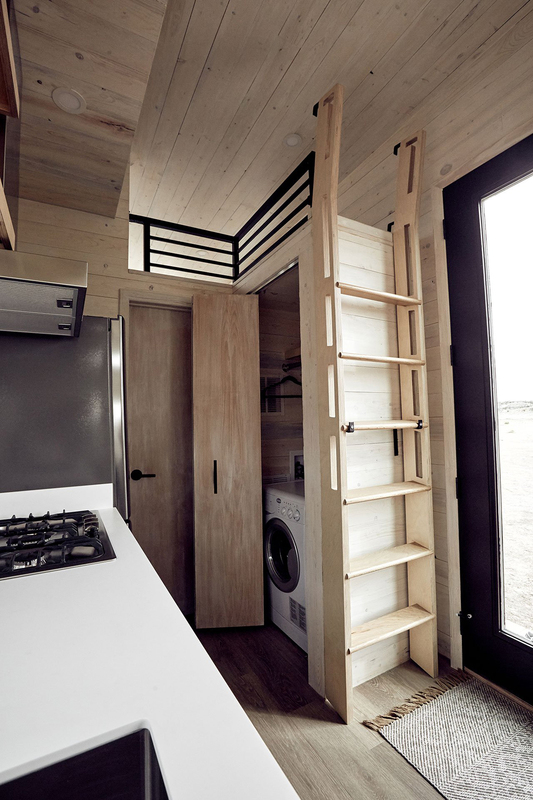 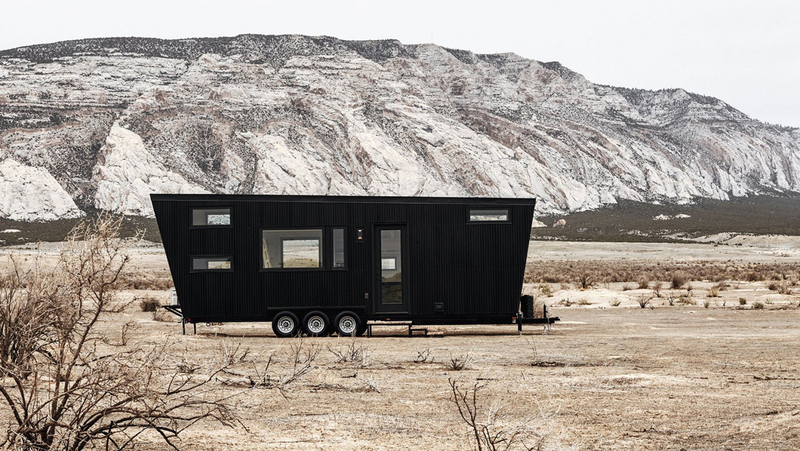 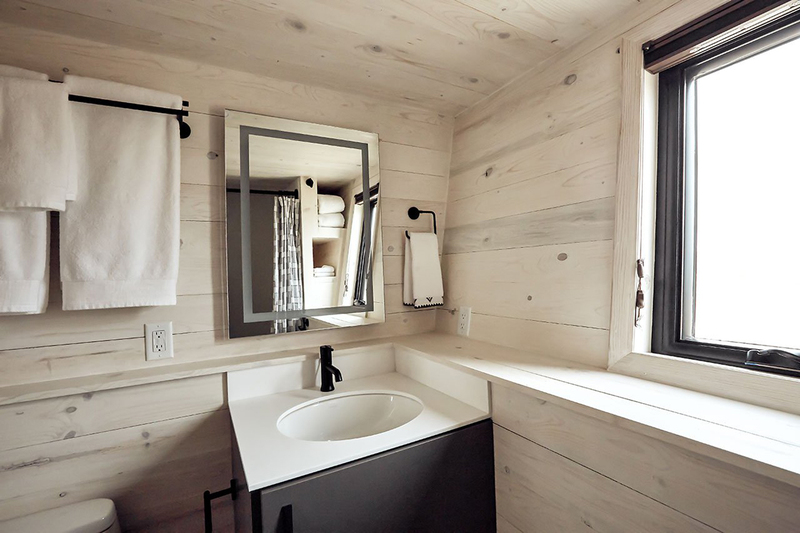 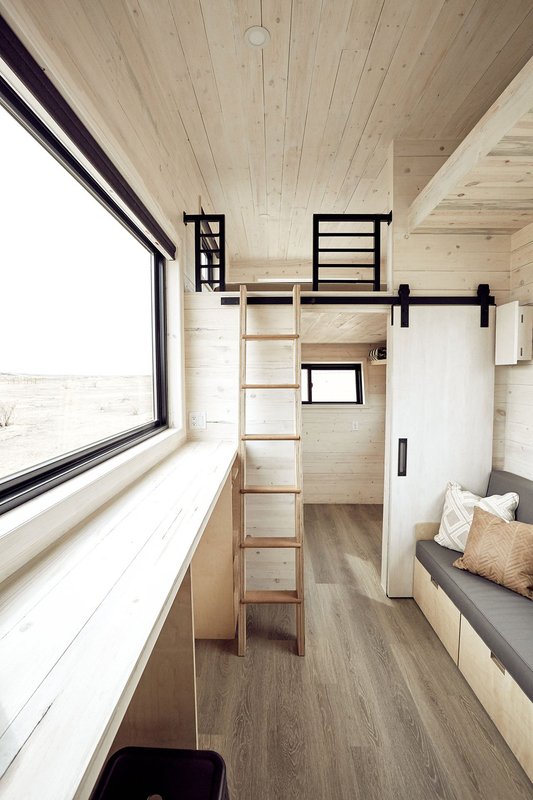 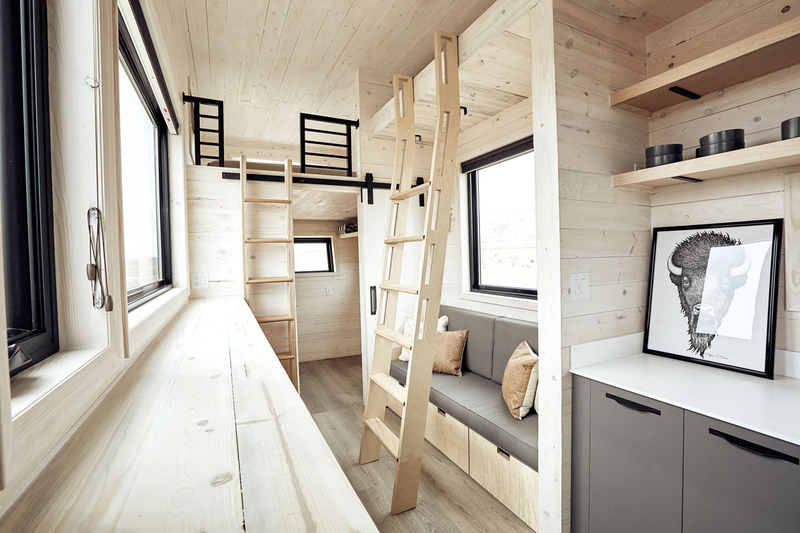 Also we recommend you to check other house on wheels – The Rook Tiny House.